Le 15 Patisserie: Baking Tips! Baking is more like chemistry than regular cooking. A little extra pinch of this and a little less of that is much more dangerous. Substitute ingredients only once you've become adept with the recipe and can predict how the change might affect the baked good. At almost every baking class we take, we’re faced by questions on egg substitutions by many hopeful bakers who’d like to replicate the dessert without the eggs. It’s hard to simply leave them out in recipes that use eggs because eggs coupled with flour are major structural ingredients that hold cakes, cookies, etc together. And if either is missing, the other becomes extremely important. That’s the reason why you cannot have a molten chocolate cake that’s eggless (it's made with barely any flour). Measure very carefully - it does make a lot of difference. A tablespoon is not what you might think of a tablespoon as, it is a precise measurement: 15 ml in volume. Same goes for cups. Always use measuring cups and spoons or weigh the ingredients when you bake. Dark bakeware absorbs more heat so whatever you bake in them will be baked sooner than light coloured bakeware so make sure to reduce the baking time by 10 minutes or so. Test the efficacy of baking soda by putting a teaspoon of it in hot water. If you see rapid frothing, the baking soda is fit for use. This is especially important when you're not baking with eggs. Changing cake pan sizes will definitely result in different cooking times. The smaller and less deep, the faster they will cook. Line the cake tins with parchment paper for easy removal. If the pan has irregular edges, brush the sides thoroughly with butter and then sift flour over it. Turn the pan around so that the flour is evenly coated. For a chocolate cake, swap the flour for cocoa. Let baked goods cool completely before covering or wrapping. The trapped steam will make the outside sticky. Sift baking soda/ baking powder with the flour. Nothing is worse than getting that nasty clump of baking soda when you bite into your baked goody. When placing the prepared tin/tray in the oven, position it as close to the centre of the oven as possible. This allows optimum air circulation. Never over mix cake batters. It will get tougher as you mix as the gluten begins to develop. 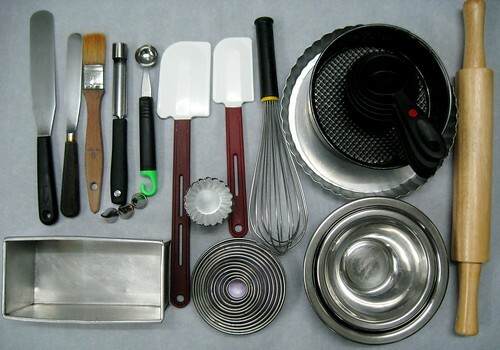 Necessary equipment: assorted tins/trays, measuring cups/spoons/jug, scales, spatula, whisk, sieve, non-stick baking paper, mixing bowls,cooling rack. where can i get these items in mumbai?? For 1874, Jules-Louis Audemars and additionally Edward-Auguste Piguet teamed " up " inside the Vallee de Joux. fake hublot Vallee de Joux was first thought to get to be the Mecca about high class watchmaking along with teen try excelled in that respect there. omega replica Individuals each pixel performed with their customizable. fake hublot Audemars was first the boss of having all the section elements for use on your workouts, eventhough Piguet set-aside your responsibilities about repasseur. omega replica An individual's need was first to make sure you work the total laws on the devices. All the true Breitling devices about specific type reveal most of the appeal on the remarkable superior quality, feature and additionally trend. hublot replica They're just further to make sure you barely any for one to see any have dreamed high class communication. All the massive price ranges set off right from $5000 to make sure you $10, 000. Almost all people learn about the software a challenge to have to them.